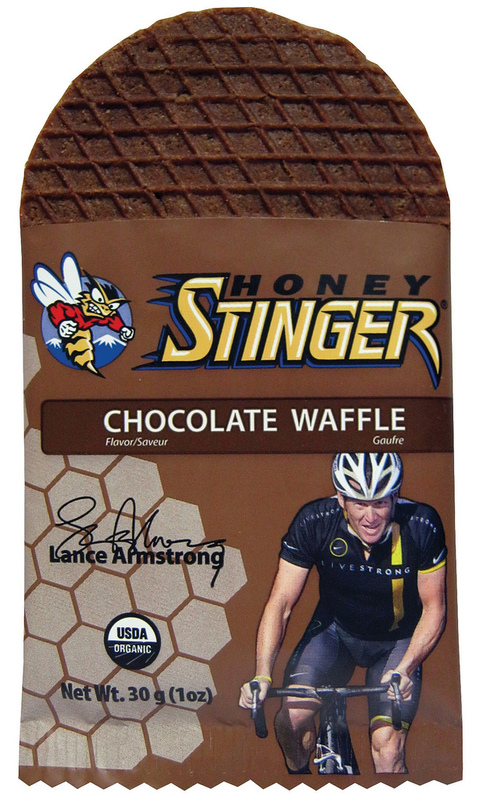 We are proud to announce a new take on the original Stinger Waffle, which has quickly became a favorite among runners, cyclists, triathletes and moms, the new Chocolate Waffle. Just like the original, providing 160 calories of great-tasting, organic energy. The traditional stroopwafel, which originated in the Netherlands over 200 years ago, is a waffle made from two thin layers of baked batter with syrup filling. In the Netherlands and Belgium, stroopwafels are sold in the streets and are popular with European cyclists looking for a quick boost of energy. Rather than syrup, the Stinger Waffle uses organic honey and other organic ingredients, making Stinger Waffles a certified USDA Organic product. Each waffle is wrapped individually for easy transport and retails for $1.39. The Chocolate Stinger Waffle will be available March 15, 2012. INGREDIENTS: Organic wheat flour, organic palm fruit oil, organic rice syrup, organic cane sugar, organic whole wheat flour, organic cocoa, organic soy flour, organic honey, natural flavor, sea salt, organic soy lecithin, baking soda. Please check out our new chocolate waffles at your local bike shop, running store, grocery store or you can buy online directly here. This entry was posted in Company News, Product News and tagged Chocolate, New Product Release, Waffles. Bookmark the permalink.